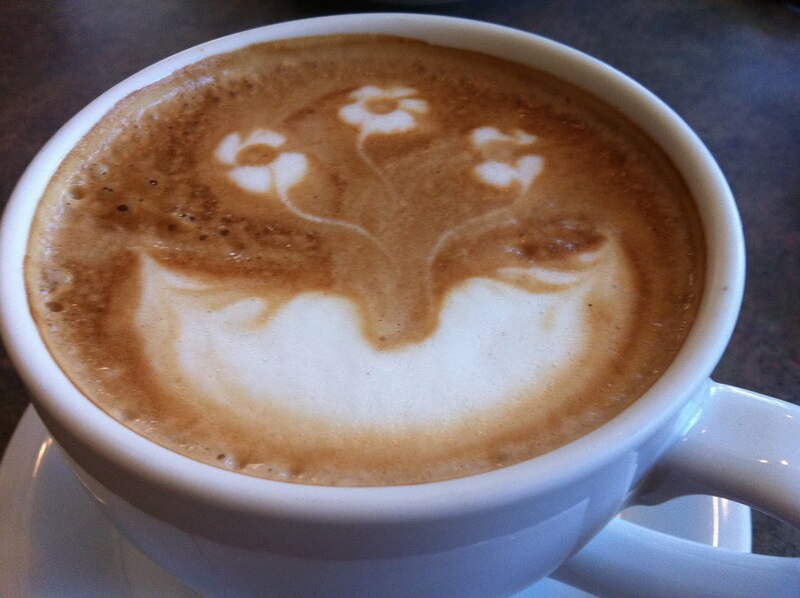 This is the beautiful latte art produced by a very talented barista(daughter Emily;), at Coffeeco in Kingston. Each and every latte is adorned by Coffeeco’s professionally trained barista with an imaginative, almost calligraphied manner. Most of us would readily admit to being art-lovers. Fine art on canvas, sculpture, glass, literature and our children’s finger-painting are all easy to embrace. Other popular forms of creative artistic expression could be interior design, billboards, blogging, clothing, landscaping and cooking…. The above, all seem to me, to be easy to appreciate…but how do you feel about tattoos, multiple piercing’s, and graffiti? Lets all take a look at what we include in our lives as art. Can we expand our personal understanding, expression and support of art? We don’t have to like everything presented, but I suggest that we at least respect the creative process involved in its expression…for ART’s sake!